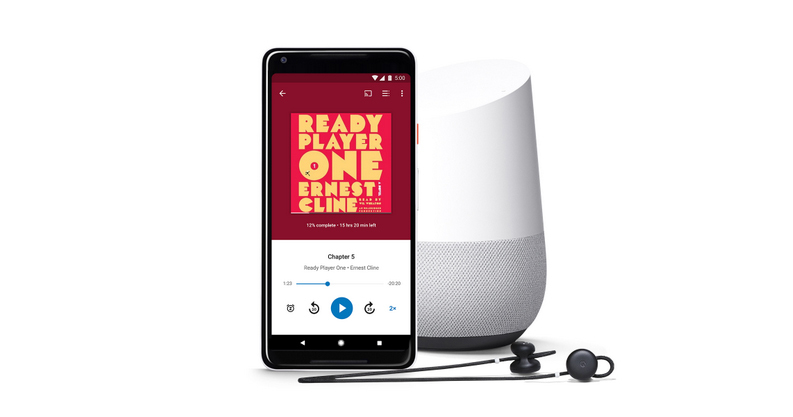 Following reports from last November, Google Play has introduced audiobooks in its store, alongside ebooks and comics. The company has launched the new section in 45 countries and supports nine languages. You can play your purchased titles in the Google Play Books app on Android, iOS and desktop, as well on Assistant-powered devices like Google Home – which means you don’t need your phone handy to listen to them. The company says that it’ll remember where you left off and sync your progress across devices, so you can pick up from that point on anything you’re signed into. That puts Google in a position to compete with Amazon’s Audible service, which offers audiobooks and other spoken-word media, like episodic series. But unlike its rival, Google Play doesn’t offer a subscription for its offerings: you simply buy the titles you want. Depending on where you live, what currency you use, and how much you’re used to paying for regular books, that’s either a good or bad thing. I found a number of audiobooks in India to be astronomically priced: Gregory David Roberts’ rollicking adventure in Mumbai’s underworld, masterfully told in the novel Shantaram, presently costs Rs. 1,300 ($20) with a list price of Rs. 1,930 ($30); the paperback costs Rs. 356 ($5.60) on Amazon India, while the Kindle edition will set you back by Rs. 250 ($3.93). It’s nice to be able to buy audiobooks at last, but it’s a pity that they’ll seem out of reach for many people for now. Meanwhile, Amazon is expected to bring Audible to India soon, and I suspect it’ll probably get pricing right when it launches – or at the very least, do better than Google. The company already bundles its video streaming service along with its Prime subscriptions, which costs Rs. 1,000 ($15) per year locally, as compared to $13 a month in the US; that makes a lot more sense, given that the Indian Rupee is significantly weaker than the dollar. Find audiobooks on Google Play by following this link.